Do you have a special fondness for blog-writing? Are you a blogger? Do you want people to revisit you every time you write a blog? Do you know how to write amazing blog posts? Do you know what do you need to tell your audience? Are you aware of what your audience expects from your end? Do you know the purpose of your blog well? If no, it’s time to carry out a proper research for your blog post. Before you create a blog post, you must observe the expectations of the audience that you are going to target. Be aware of the requirements of the readers and their outlook. Make sure that you get an extensive area of knowledge regarding the topic as well as the content that you are going to draft. What do you want to tell to your audience? What your audience want to know from you ? What is the purpose of your blog? What are the expectations and needs of your audience? You should find answers for these questions before you create a blog post. Topic is the most indispensable part that attracts the reader in the first go. You must offer precedence to the comfort of your audience. So selecting a favorite topic can be a win-win situation for you. It should be the first rule of not choosing a subject which is strange for you. Some of the writers go for unrelated topics. Because they experience that many other writers are taking benefits of those weird topics and making huge money. It’s a wrong decision. Always go for something that can excite the readers. While selecting a topic, you need to consider not only your passion but also need to discover the enthusiasm of your readers. If the readers like your blogs, it’s going to increase the web traffic and accelerate the number of readers for the blog. Selection of a wrong topic can spoil your blogging career. 1. An introduction part that can focus on the brief preface of the topic. 2. The content portion that acts as a body for the blog which comprises of all the detailed information regarding the topic. It also consists of sub-elements like headings, subheadings, useful content, and images. 3. The conclusion part that comprises of the outline of a blog post which can quickly fill the remaining content part of your blog. Do you know how to hook your readers with your introduction portion? You can start your blog with a capturing intro. It clutches the readers into the claws of the preface. They will enthusiastic to read your blog post and keep reading. Good intro portion will compel your reader to keep reading your blog. Also it will make the reader more and more curious about your post. So start your blog posts with amazing introduction. Introduction portion is a brief paragraph in which you introduce your topic entirely. It should be simple, attractive and informative regarding the topic. It should be a brief paragraph portion. If it is too long with unnecessary contents, your readers may hesitate to go through. If the reader is not satisfied with your intro part, then they will stop reading and will go for another sources. You can start your intro with interesting quotes and facts, story or joke, statistic, or provoking questions. That can make the readers feel as if the blog can be a great use for them. Then give an idea to the readers about your post. 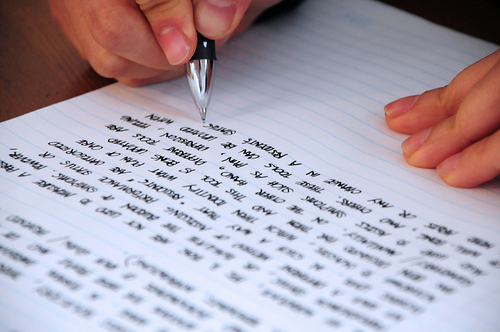 Using simple and short sentences in introduction is also improve its readability. Through this readers can easily understand what you are going to share with them. Do you know that content is the kingdom of your blog post? Do you know how the content affect your blog post? The length and the quality of your content can largely influence your blog post. Undoubtedly it is the major part of the blog post which can comprise of all the detailed information regarding your topic. Good content is not storytelling. It’s telling your story well. Here I am revealing some ideas to write your content well. Nobody knows everything but everybody knows something. So you have to research about your topic is essential. If you want to deliver a great content for your readers, you must have proper knowledge about the topic. Better research improves the quality of the blog and eventually you can end up having an excellent blog post. Wikipedia – Its a great encyclopedia can provide lots information for your searches. Google books – Earlier known as Google book search and Google print. Include references from books and magazines. Google Public Data – It also provide informations for your searches. The most important thing that you must remember is to mold the content in your natural style and choice of words to escape plagiarism. After having all the information regarding the topic, start organizing it as per the headings and subheadings. Organization of content can help in better visual attraction and better readability of your audience. Never put all the details in a single paragraph, instead of divide and organize it wisely as per the interest and importance of the content. Signify the topics into headings and further into subheadings. Which can step up the readability of the page. Hence, the organization takes an extra credit for writing an excellent blog post. Without a robust and logical organizational structure, your site will not function well even if your content is accurate, attractive, and well written. Use bullet information and directions to the post. Bullet points let the readers focus on the content precisely. So that they can understand the blog clearly and quickly. Make use of statistics, products, steps of activities and any other information or data that can make your blog post stand out. End your blog with a finishing and exciting conclusion. Never leave the blog midway. Make sure you complete the topic beautifully with some interesting quotes or cover all the aspects in a better way that the blog looks perfect in every aspect. You will never want your readers to experience an incomplete ending where they can find the blog nothing less than a waste of time. This can severely affect your audience, and so does the reputation of your page. Add a finishing touch to the topic. This trick work wonders in your blog writing. Make sure that you write the blog with a promising conclusion and do justice to the title; else the readers might feel cheat. After going through each and every elements and sub-element of writing an splendid blog post, I think you can easily try your hand at writing one. 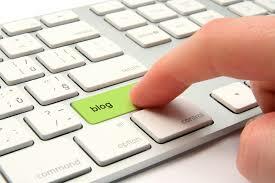 Now you got an idea about how to write blog posts or articles. When you are writing a blog post, add minimum 300 characters. After you complete the process of writing, make sure that you read it aloud as it helps you to realize the style, tone, and way of writing. It also helps you to detect any spell check or grammar issues with the blog. This completes your blog. I have already created an article about advanced search engine optimization strategies. You can refer that guide to improving your knowledge about latest optimization trends in 2016. So, if you are writing a blog post, it would be successful in delivering the message by blending words with visual interest in a structured layout that makes the readers fall in love with your page. All you need to do is to follow the nuts and bolts of writing a fantastic blog, and you would find that you can write one. So what are you waiting for? Happy Blogging!